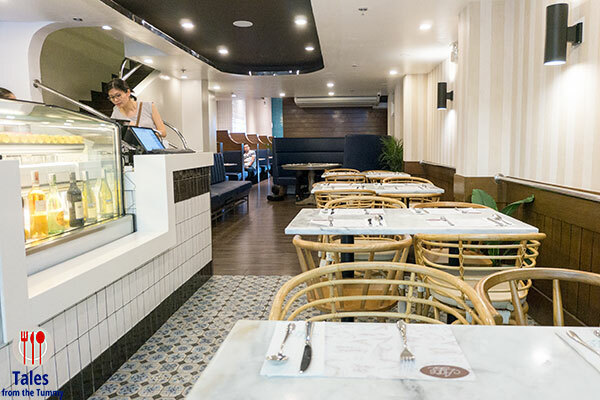 Agos (meaning flow), located at the North Wing of SM Mall of Asia, is the new restaurant by accomplished Chef Myke Tatung. The menu is Filipino with inspirations from Spain and Mexico and the Manila Acapulco Galleon Trade, aptly so as it is located beside the soon to open Galleon Museum. The space is cruise ship themed has two entrances, one facing the North Wing, the other facing Manila Bay. 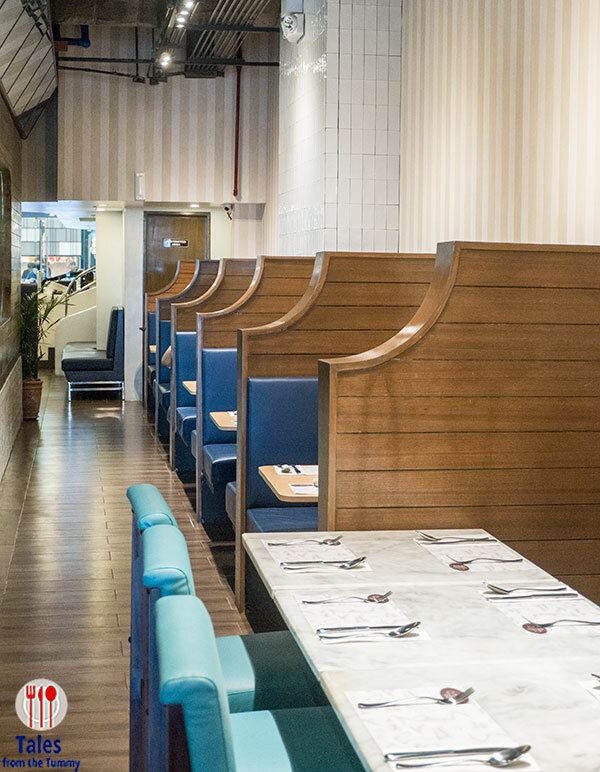 The long but narrow space has different seating areas that reminds you of different areas in a ship. Start off your culinary adventure with Tuna Kinilaw (P220/100 grams). 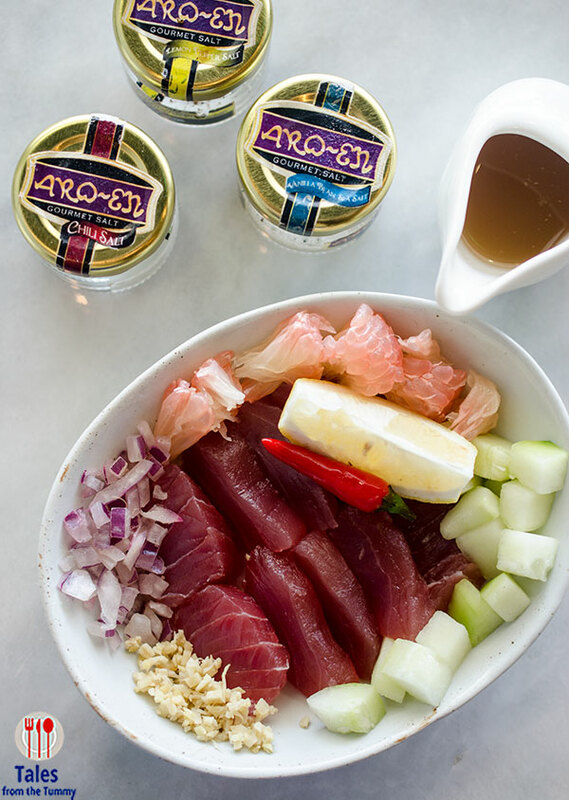 Sustainable, line caught, never frozen tuna presented in make your own style with an assortment of Aro-en gourmet salts and vinegar on the side. I like the slight zing of the lemon pepper salt added to the tuna kinilaw, the taste is so fresh you’ll realize how much difference not being frozen does. Baked Aklan Oysters (P360/ 4 pcs.). 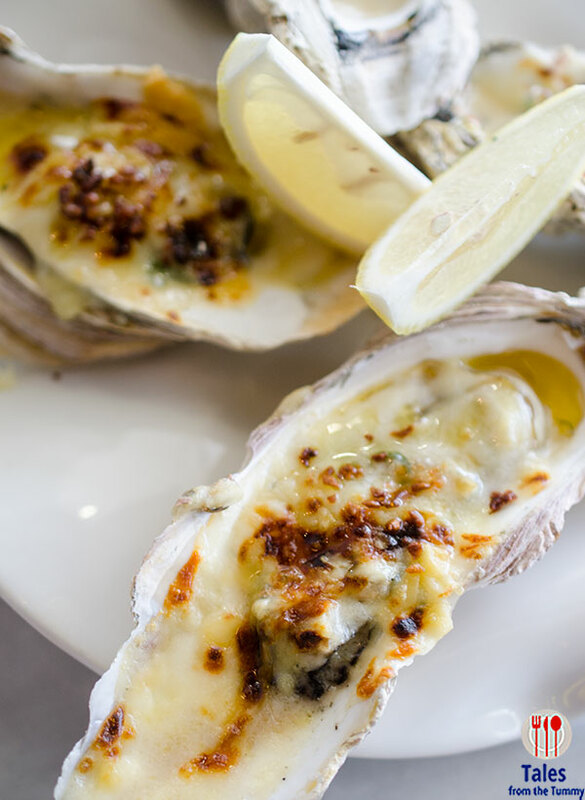 Large local oysters topped with spinach, cheese, tinapa flakes and toasted garlic. The oysters, despite being baked, retained alot of the umami sweetness one finds in raw preparations. Lumpiang Sariwa (P190). 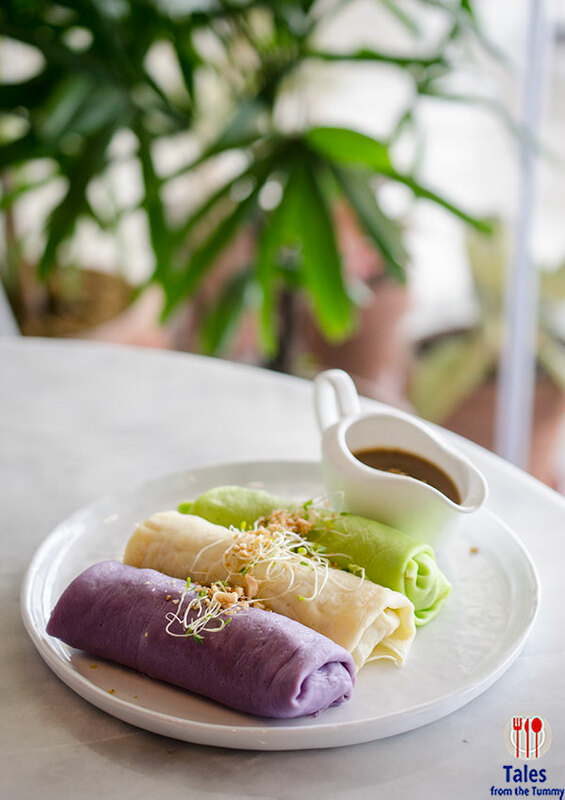 The usual vegetable roll is given a fresh and colorful twist with the use of ube, pandan and egg crepes. What sets this apart is the excellent sweet peanut garlic sauce. 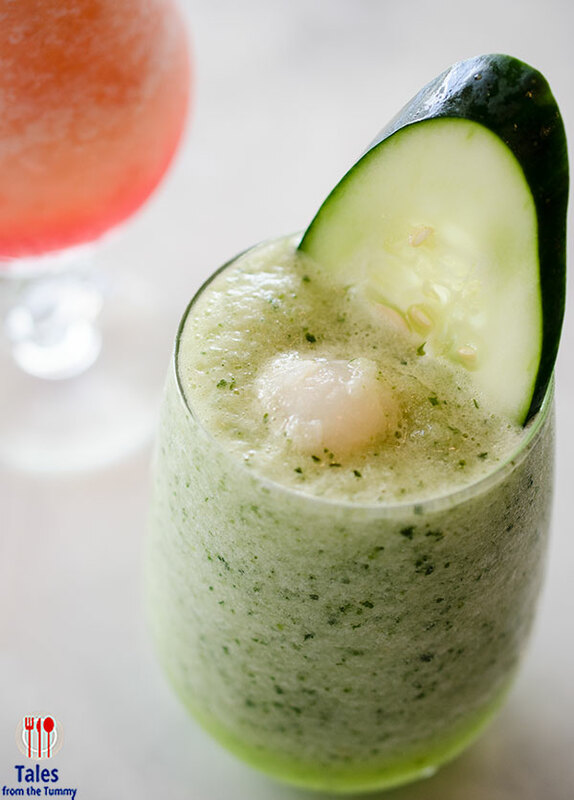 Wash your dishes down with a glass of refreshing Cucumber Lychee (P180). Pollo con Salsa Tsokolate (P290). 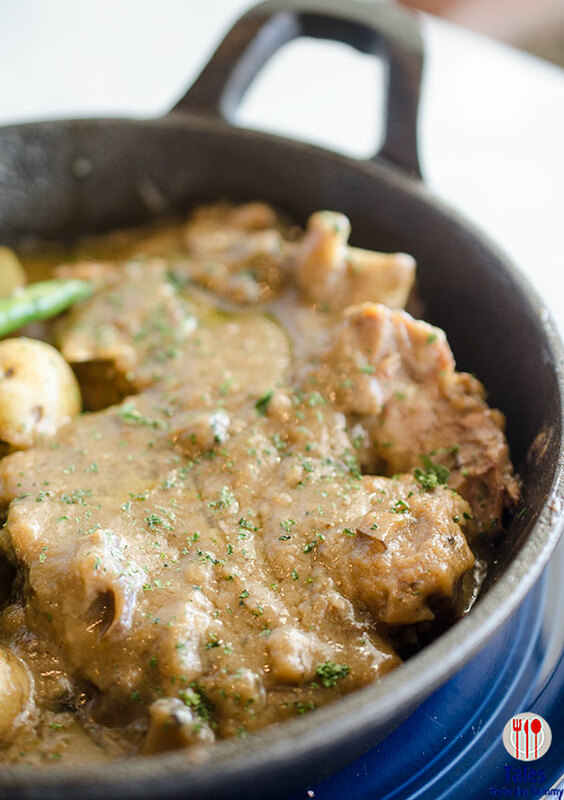 This is a dish rediscovered by Chef Tatung from his research into Filipino cuisine. Chicken braised in dark chocolate sauce, not visually appealing for your Instagram feed but the taste and flavor are definitely for your to feed yourself. This one reminded me of the Mexican mole, which also uses chocolate as one of it many ingredients. This one will go so well with plain rice. Roast Beef with Mushroom Gravy (P550). Beef roasted for 6 hours, sliced and topped with three mushroom gravy. The flavors are classic and comforting and you’ll regret not ordering any rice. Fritchonillo del Casa (P1,460). 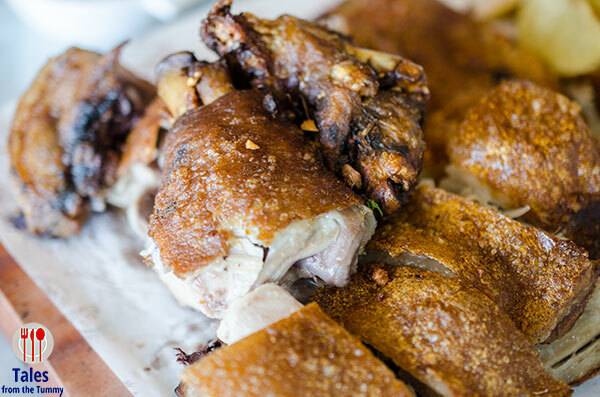 House special sous vide black pig then deep fried upon ordering for a very crisp skin. 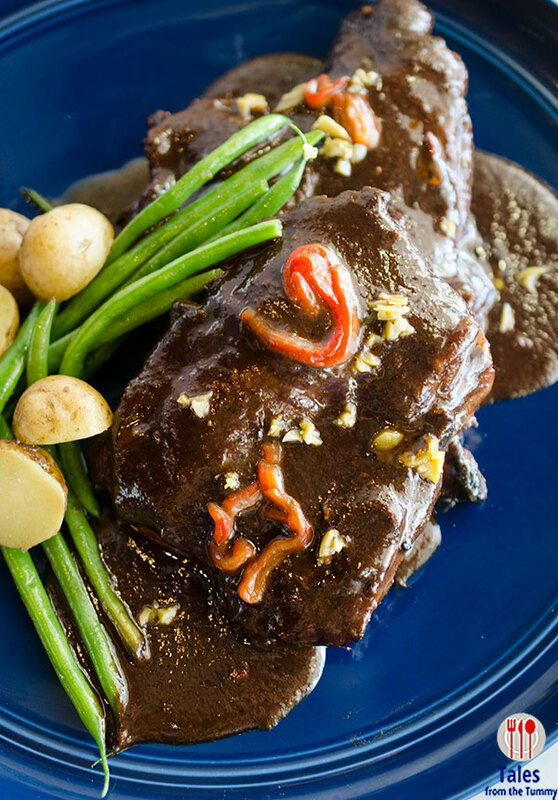 Served with a variety of sauces and pickles to enhance the flavorful and tender meat. Fancy a little rice to go with your dishes? Try their cooked from scratch Filipino style paellas (30 min cooking time) using Ifugao Tinawon rice. Paella Fiesta Filipina (P580), cooked with seafood, chicken, smoked chorizo, vegetables and achuete oil for the orange hue. 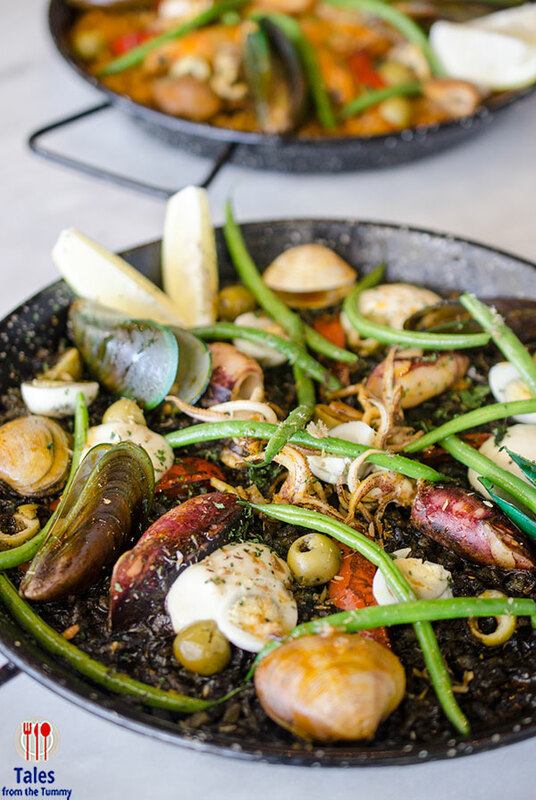 The 2nd paella variant is the Paella Negra (P580), blackened with squid ink and topped with squid, mahi mahi, clams, quail eggs and tinapa flakes. 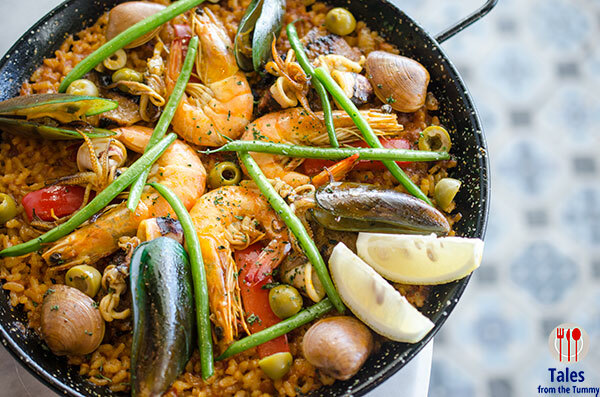 Both paella dishes come with generous toppings unlike the sparse versions from Spain. Both are well cooked and packed with flavor, you can taste the made to order unlike many other restaurants. Zarzuela Zamboangena (P610/mixed seafood, P860/curacha). 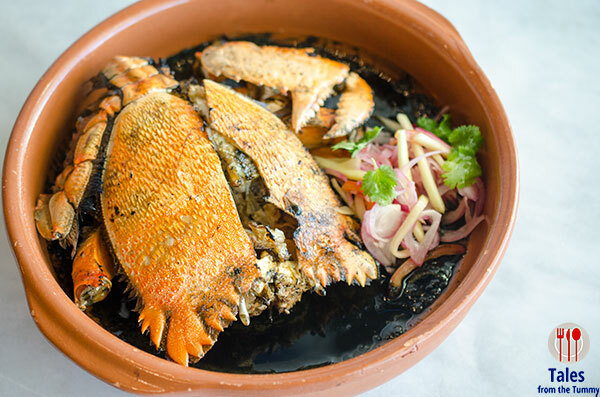 We tried the curacha or spanner crab cooked in pianggang. Pianggang is a Tausug classic dish made with burnt coconut. The sauce carries this dish as the smoky coconut curry like sauce is very unique and I bet many have not even heard of it let alone tried it. For dessert, fans of bibingka will be ecstatic at the 3 Cheese Bibingka Delight (P190). 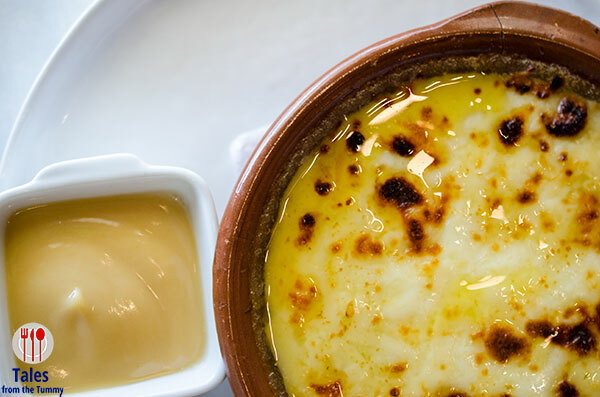 This gooey dessert with 3 kinds of cheese plus a side of salted caramel custard will have your taste buds going into overdrive. Hidden inside are coconut strips and nata de coco surprises. The Quezo De Bola Torte (P160) evokes images of a ball of edam cheese with its red hue. 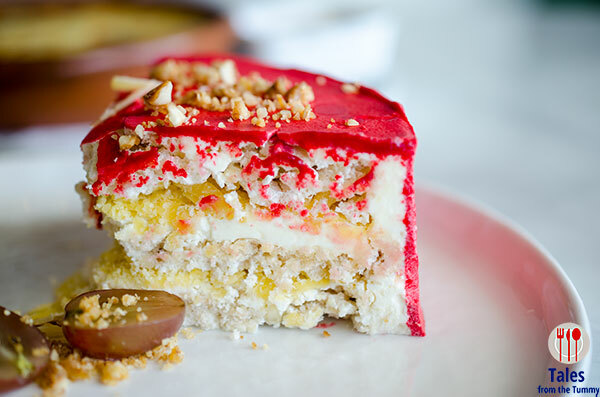 Edam cheese layered in between buttercream and cashew meringues is a twist on the sans rival. Chef Tatung continues to innovate while championing Filipino cuisine locally and internationally. 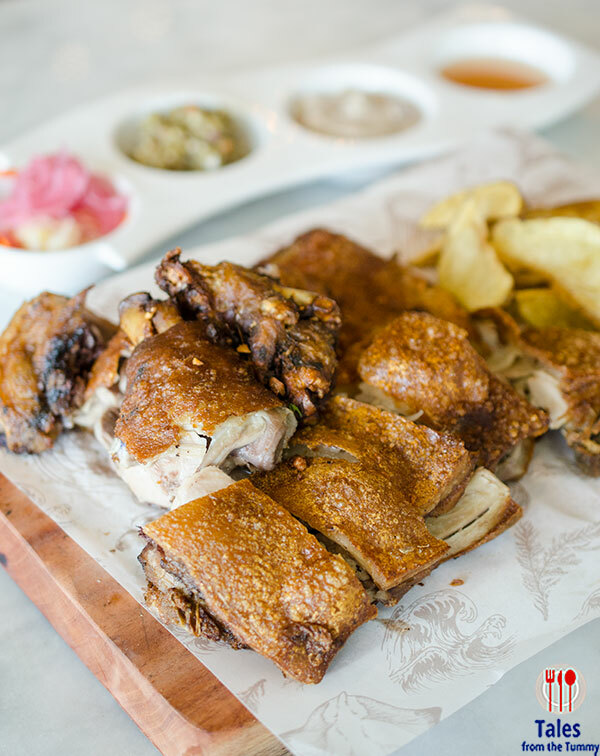 Agos reflects his deep research into the different regional Filipino dishes and brings forth virtually unknown pianggang as well as the chocolate chicken. 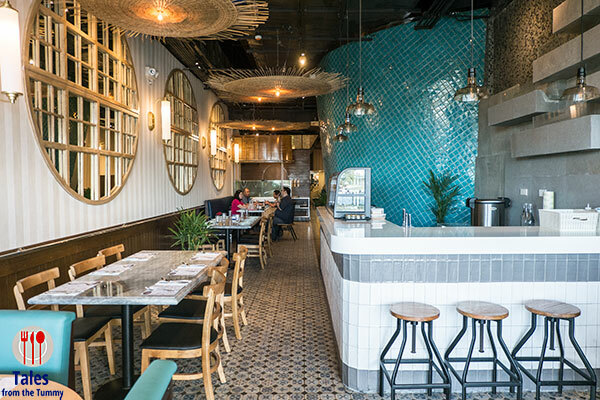 A meal at Agos is both familiar and surprising.